The UF Health Precision Medicine Program is developing online continuing education programs for physicians, pharmacists, physician assistants, nurses, and genetic counselors. The continuing education programs will initially be offered to health care providers involved in our clinical implementations at UF Health and external sites. We are using a case-based, patient-centered teaching strategy that provides participants with the option to use their own genetic information for the course. 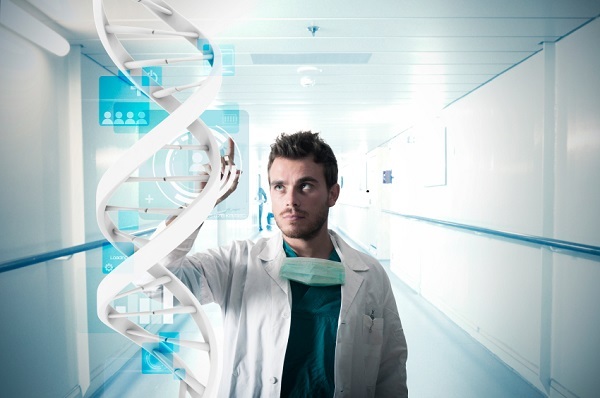 Selected genotype information will be provided for participating health professionals after processing their samples on a custom pharmacogenetics chip. Health professionals, who prefer not to participate in this component of the course, will be provided with a de-identified genotype dataset. Participants will utilize these genetic data to work through case scenarios in which the health care provider must make choices about whether and how to use the genetic information in the clinical decision-making process. Our first online interprofessional continuing education program is offered in the fall of 2014 to health professionals at UF Health Family Medicine practices. It will focus on the pharmacogenetics of pain management with opioid medications, and it will be associated with continuing education credit for nurses, physicians and pharmacists. We plan to expand this program in early 2015. Select course material will also be made available through our Pharmacogenomics Virtual Classroom.